A quirky vase fit for any occasion! 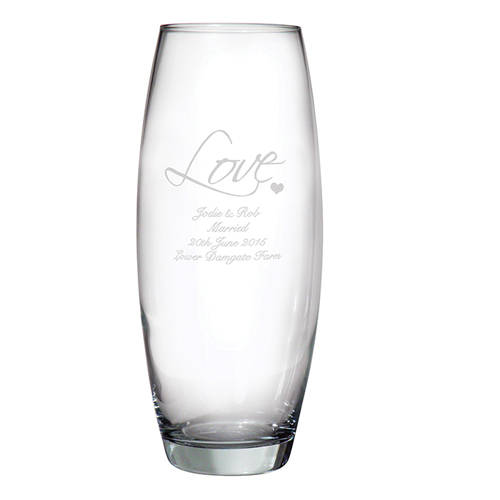 Personalise this elegant Engraved Love Bullet Vase with up to 5 lines of 20 characters each. 'Love' is fixed text and the heart is a fixed design element.